It boasts over 75 sites with many amenities and easy access to a walking trail network that follows Whitemud Creek all the way to the North Saskatchewan River. 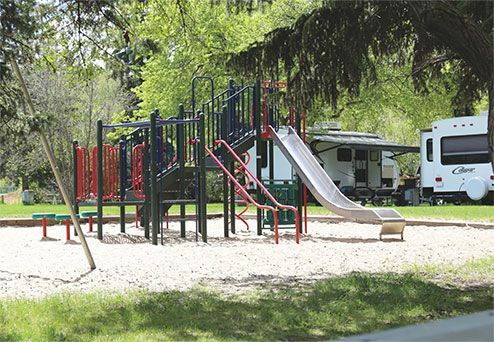 Rainbow Valley Campground is managed by Snow Valley Ski Club, a not for profit organization. Snow Valley Ski Club was established in 1953 and registered as a not for profit in 1961. Informally, people have been using the hill for skiing since 1948. Snow Valley operates under a management agreement with the City of Edmonton to manage the ski facility, Rainbow Valley Campground and, now, the Snow Valley Aerial Park, all located in Whitemud Park. You can learn more about us here. Whitemud Park is connected to and part of Edmonton's River Valley system which is an 88 kilometer continuous park that stretches from the town of Devon to Fort Saskatchewan.